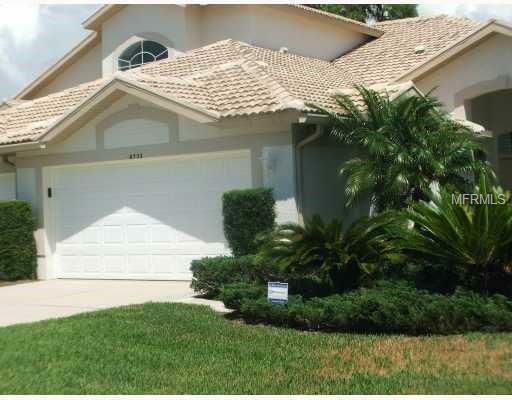 Delightful two bedroom villa at Pebble Creek at Stoneybrook G&CC, beautifully furnished and appointed, two bedrooms, two baths plus office, internet access, flat screen TVs, galley kitchen, breakfast nook with lots of windows, screened and covered lanai with hot tub, short distance from clubhouse, golf membership transfers for $250 if desired. The community is close to shops, restaurants, YMCA, and the access to the Legacy walking and biking trail is within two blocks of the gated community. The world famous Siesta Key beach is only a 15 minute drive. Limited availability.